Schools and universities see much of their role as sharing knowledge and developing skills, rather than guiding their students on winning in work and life. All of us know that in leading our organizations, what we look for when we recruit or promote people is not just competence and experience, but also trustworthiness and dependability. We wonder whether we can trust the people we choose to deliver on what we expect of them, both in terms of timeliness and of quality of work. Will they do their best according to their talents and capabilities? Will they produce work they can be proud of? Will they observe deadlines, and let us know if they will not be able to meet the deadlines? We also wonder whether our people will cooperate, collaborate and support each other as necessary and appropriate. Will they see the broader organisational objective and responsibility, or approach work in self-pride and selfishness? Can we trust our people in their attitude towards their work and towards each other? Will our people honour their word, and honour each other? Will they deliver on their promises? Will they look out for each other and function as family or as a team? Universities and schools fail to make the point with their students that to succeed in work and life, they need to be trustworthy and not just competent in their skills and abilities. Trust is the most important currency for long-term relationships – we all know this instinctively! Trust is both critical and essential in relationships with parents and family, with friends and relatives, with bosses, colleagues and subordinates, with business partners and customers, and with government and the community. And Honor is the Foundation of Trust. 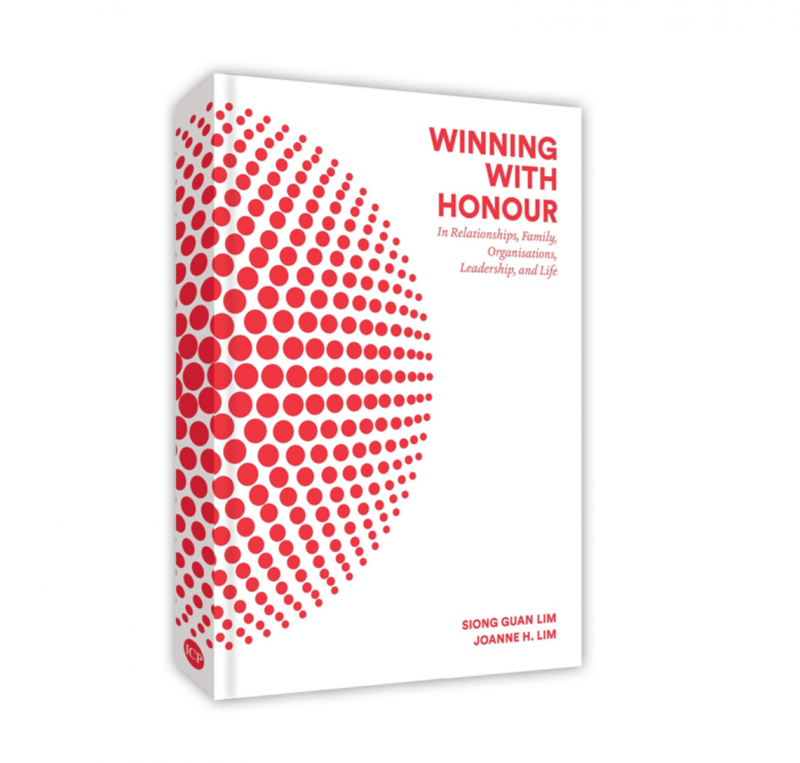 How can we understand Honour? Some people think Honour is too ambiguous an idea, and could be better understood if we were to use words like Integrity or Respect. But while integrity and respect are certainly important aspects of honour, they are not adequate. To understand the depth of Honor, consider the question: What is the difference between Liking and Loving? When we say we like something or someone, we mean that there are characteristics about the thing or the person that appeals to us. Liking, therefore, is in fact a very self-centered way of thinking. On the other hand, when we say we love someone, we will continually be thinking of what we can do to please that person, make the person more comfortable, bring joy to the person, and raise the person’s sense of well-being. Loving, therefore, is a very other-centred way of thinking and behavior. Unfortunately, the word “love” has been very much debased in many situations to simply mean “like very much”. If we can draw this differentiation between “liking” as a self-centered frame of mind and “loving” as an other-centered frame of mind, we will be able to similarly appreciate that “respect” derives from a self-centered frame of mind: Does the person deserve my respect? What is it about him or her that is worthy of my respect? In contrast, honour springs from an other-centered frame of mind. A common situation would help clarify the wellspring of honour. If you were riding an escalator in a city where the convention is to stand on the right, an interesting question is why you yourself stand on the right. If you were doing so because that is the social convention, then all you are doing is to “follow the crowd”. But if you were standing on the right out of regard for those who may wish to move faster by “overtaking” you on the left, then what you are doing is an act of Honour, an act of other-centeredness. Honour in Nation, which in turn enables Honor in Individuals, and so on. This last, “Honor in Nation”, can be explained with the example of Singapore. Singapore is a small country with a population of around 5.5 million and a land area of 278 square miles, a nation with absolutely no natural resources, and smaller than New York City, London or Tokyo. If you were to look at any map of the world, Singapore would fit quite nicely within the letter “o” of its name. Its population is multi-ethnic, multi-lingual and multi-religious. Pew Research Center found Singapore in 2014 to be the most religiously diverse country in the world. How has Singapore managed to survive and thrive despite the challenges of geography and demographics? The answer lies in Singapore being a brand of trustworthiness. Brand Finance, an international brand consultancy firm based in London, named Singapore the strongest nation brand in both 2015 and 2016. The strong Singapore brand springs from two acts of honour as a nation: it is a people and a government who can be trusted to honour their Word – to deliver on their promises, observe the rule of law, protect international property rights, and deliver on quality and excellence – and who honour Each Other – recognizing that ethnicity, language and religion are visceral issues, aspects of life left to individual choice but in a way which does not impinge upon the freedom of others to similarly choose for themselves, and in this way maintain community harmony and social stability. Success in work and life depends not just on knowledge, experience, competence and skills, but also very much on trustworthiness, reliability and dependability. Trust, in turn, is founded on Honor, where other-centeredness plays a central role, as against the selfishness and self-centeredness which drives much of the behavior of individuals and organizations all over the world. The fundamental premise of Honor is that honor is what we offer others out of consideration for them, with no expectation of getting some reward in return, though it may be an act in “enlightened self-interest” where the resultant goodwill, peace and harmony makes the honoring effort more than worthwhile. Honoring springs from an other-centered frame of mind, much like “love”. Universities and schools need to help their students understand that success in work and life is more than skills and knowledge. It is essential to be trustworthy and dependable. And parents and families should recognize that it is they who will determine whether universities and schools can do this effectively, because they are the ones who create the moral foundations in the home that will make their children accept or reject the message of honor and trustworthiness. So, if you want to succeed at the work place, and/or want your child to succeed in life: Honour Your Word and Honour the People Around You.